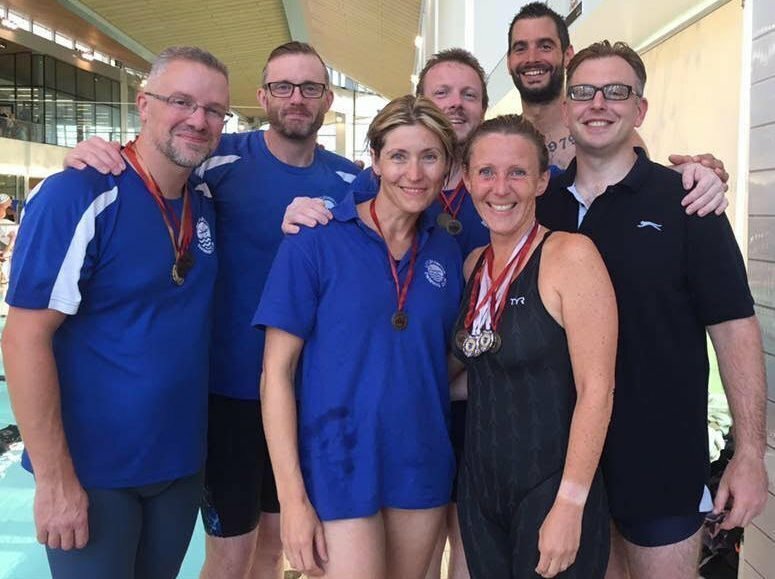 Littlehampton Swimming Club Masters have qualified for the World Masters in Budapest this summer. Following last year’s swims at the European Masters, Lisa Jackson, Donna Strowger, Darren Prior and Drew Gowland have all achieved qualifying times for the World Masters to be held in Budapest this summer. Also qualifying are Tamsin Netherwood and Jamie Millar. This is fantastic that so many of our Masters team have achieved these times and continue to build on their successes at County, Regional, National level and above. The Littlehampton Masters team train every Wednesday, 8.30 p.m. – 9.30 p.m.at the Arena Pool and by invite on Monday evenings, 8.30 p.m. – 10.00 p.m. at LSSC.